It will be a “big time” in Gainesville, Florida this weekend! 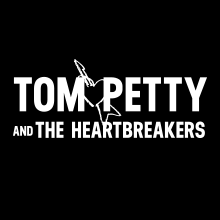 On what would have been Tom’s 68th birthday this Saturday October 20, the city of Gainesville, FL will be renaming Northeast Park, located in the neighborhood where Tom grew up, as Tom Petty Park. The park is located 501 NE 16th Ave. in Gainesville.The dedication ceremony is scheduled to begin at 1:30 PM on Saturday. This event is just one of many happenings around Gainesville over the weekend, including two multi-day festivals featuring bands and artists from around the country playing a mix of Tom’s music and their own. For details please visit TomPettyBirthdayBash.com and HeartwoodSoundstage.com. Our heartfelt thanks to all the fans in Gainesville and around the country for their love and support in celebrating Tom’s legacy this weekend!